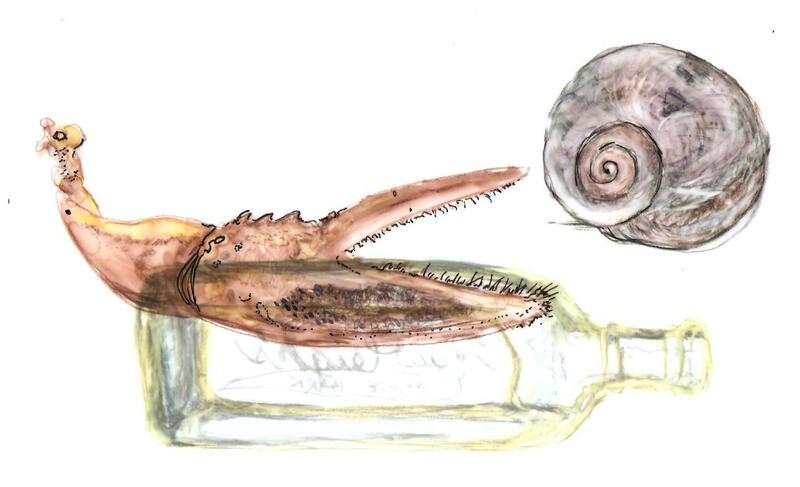 Last weekend I participated in an amazing workshop called Experimental Drawing with Maine artist Cindy Davis. We experimented with all kinds of media and materials as well as a variety of techniques and surfaces. The class was framed by the provocative idea that the practice of drawing itself has become experimental and may encompass everything from mixed media, to 3-D work, to video. An expanded definition for drawing in 2013 could be said to be “making marks on a surface.” That surface may be paper, mylar, vellum, or even virtual. The sky’s the limit. Here is some of the work I created. 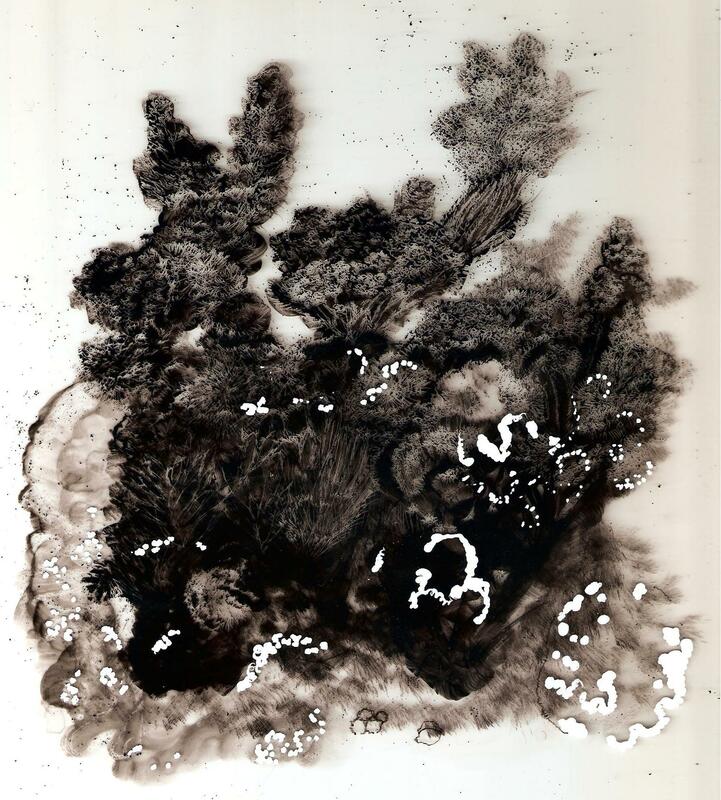 This is my favorite piece, created using black acrylic paint and a Wite-Out pen on two layered sheets of Mylar, which is a thin, strong polyester film. 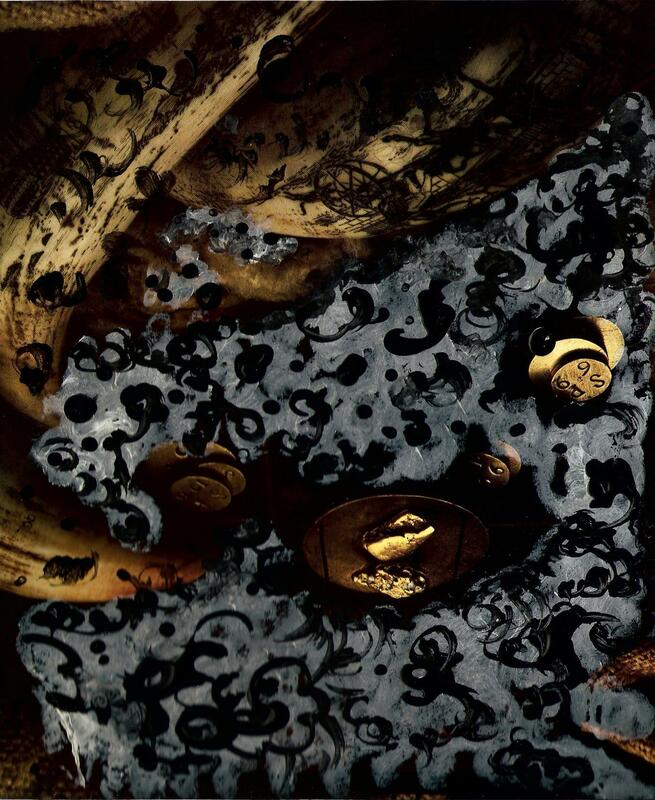 One technique used here was to scrape away the black paint in varying stages of dryness with a sharp tool, essentially drawing into the media, which yielded interesting textures and a sculptural effect. The second layer added to the interpretive, abstract effect. These are some “blind” contour and gesture drawings we made to loosen up. I’ve always loved doing blind contour drawings especially. Drawing with eyes closed, guided only by memory and touch, is so counter-intuitive, and the results often capture startlingly essential aspects. It’s like drawing with the mind. This is a particularly great exercise for people who say, and falsely believe, they can’t draw. 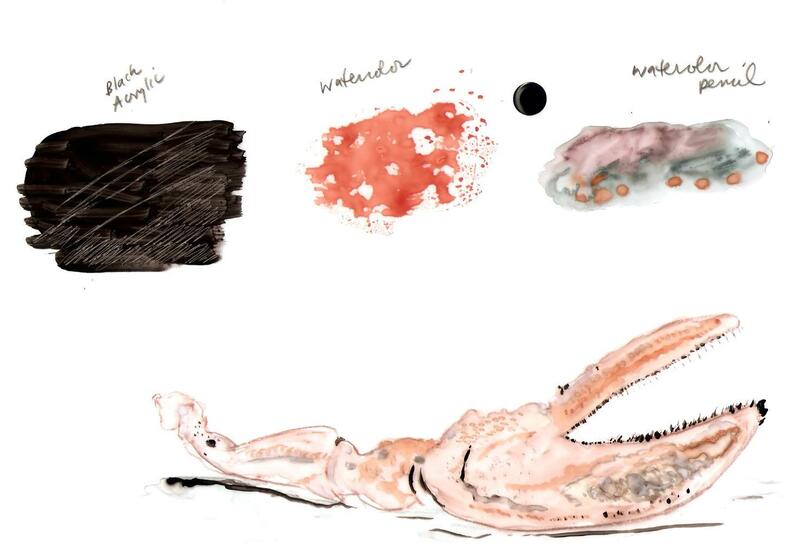 Here are some studies on drawing paper and rice paper using ink, colored pencils, Conte crayons, graphite and pencil. 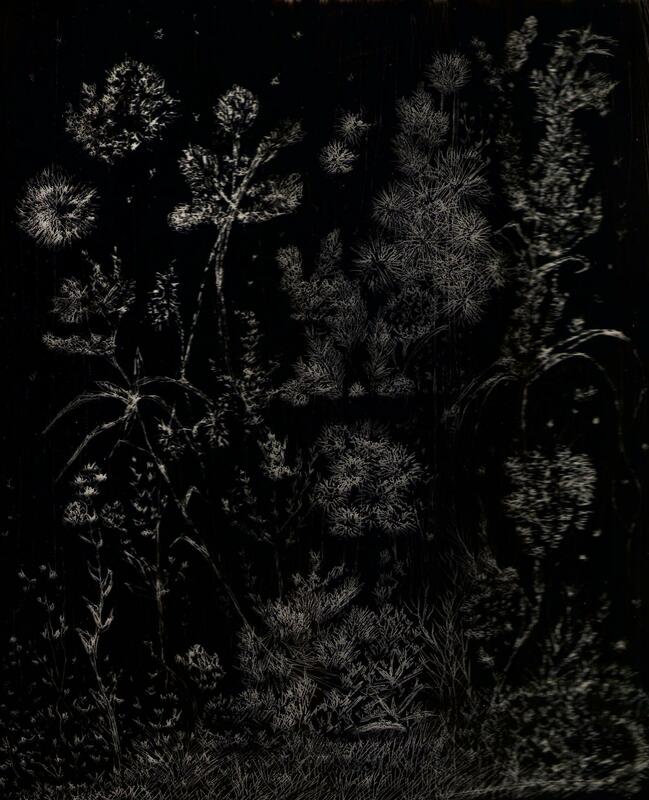 This was my first exploration with Mylar; the white ghostly images of the flowers were made through scraping off the black acrylic paint. 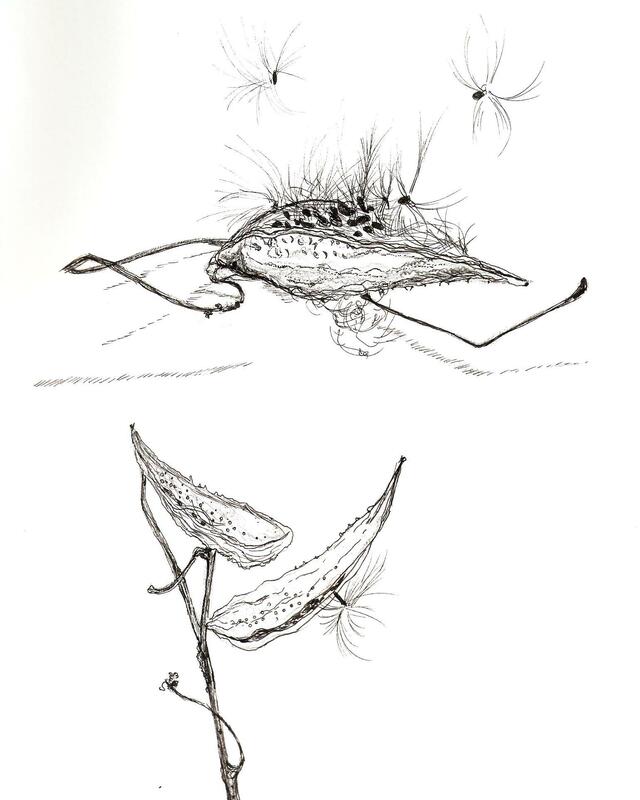 This is a pencil and pen-and-ink sketch of Milkweed. From the drawing we made rough sculptural forms, which we then interpreted in mixed media. Exploration of various wet media on Vellum. 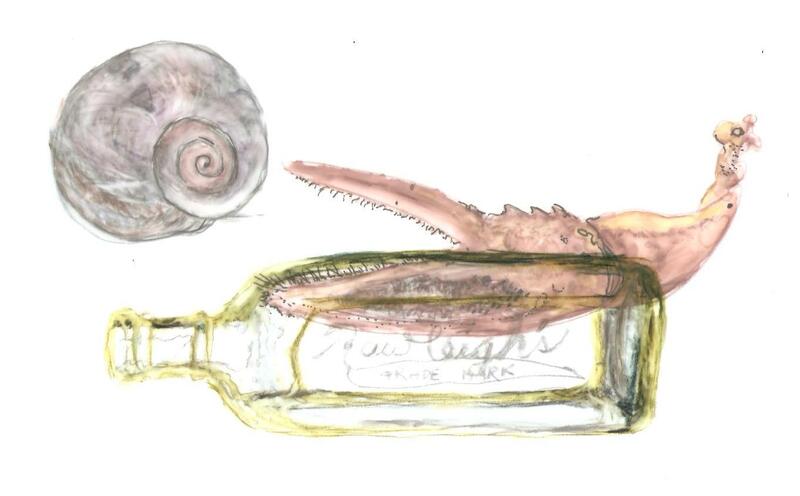 Still life, using various media on Vellum. There are drawings on each side of the Vellum, which creates interesting effects. This is the flip-side of the Vellum still life. Additional images/effects can be added using overlays of additional sheets of Vellum. So many possibilities! This was a really fun exercise, created using Gesso and black acrylic paint over an appropriated color photograph. Cindy is a fantastic teacher, and I have so many new ideas from experimenting with materials and media that I never would have explored on my own!